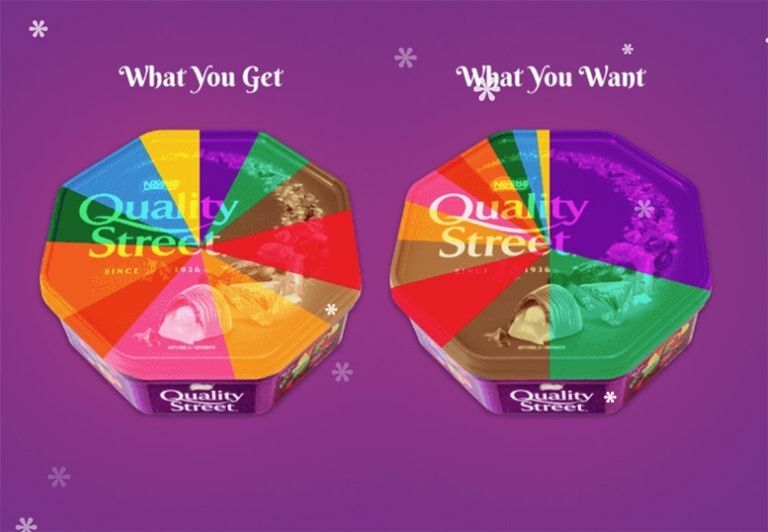 How many of each chocolate do you actually get in a Quality Street tub? How many times have you tucked into a Quality Street tub to find far too many fudge or toffees by the end and not enough Purple Ones? Well, new (highly important) research has revealed that the actual amount of each different kind of chocolate in the tubs varies, and it's never even. Carried out by kitchen appliances site CDA, the findings state that a box of Quality Street is usually packed with the pink fudge and toffee chocolates, while Purple Ones, Orange Chocolate Crunches and the Green Triangle are surprisingly hard to come by. > QUIZ: Can you guess the Quality Street flavour from just the wrapper? CDA also found that the nation's favourite five Quality Street chocolates are: the Purple One, the Green Triangle, the Toffee Finger, the Strawberry Delight and the Orange Chocolate Crunch. So, it's rather annoying that these are usually the rarest in the box. Or, maybe that's why we like them so much! 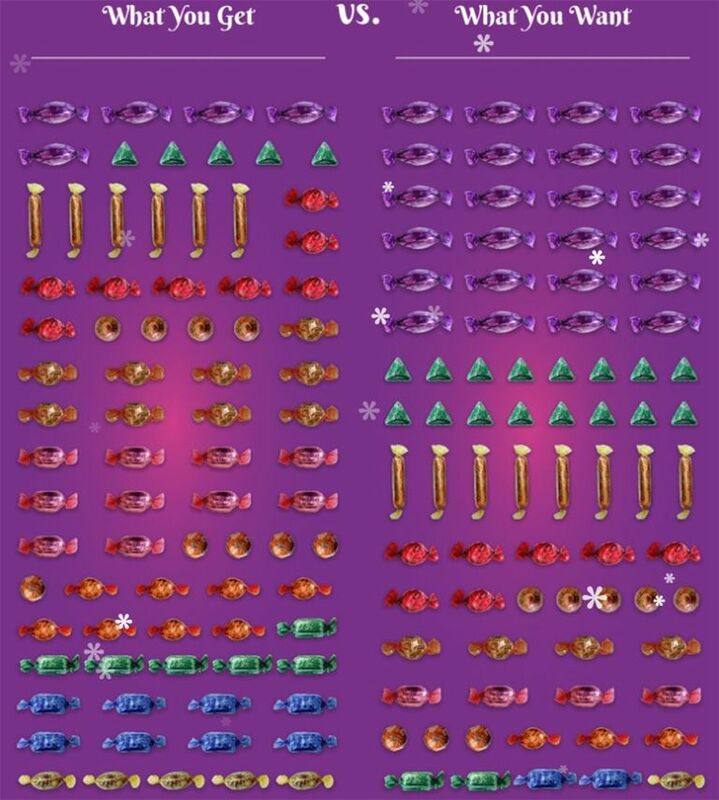 So there you have it, now you know which ones to quickly grab as soon as the tub is opened at Christmas.